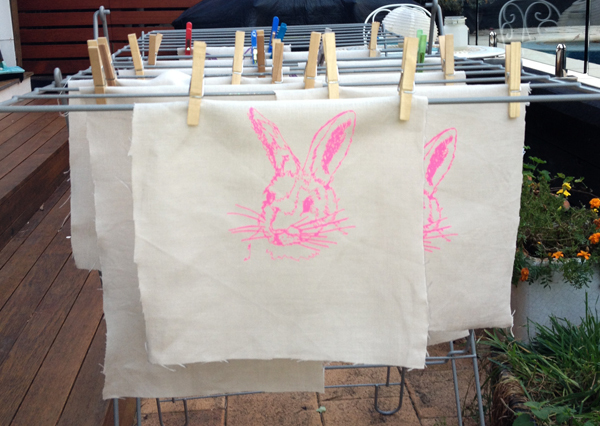 FK chats to Imelda and sisters, of beautiful Brisbane based textiles label Maker & Merchant. 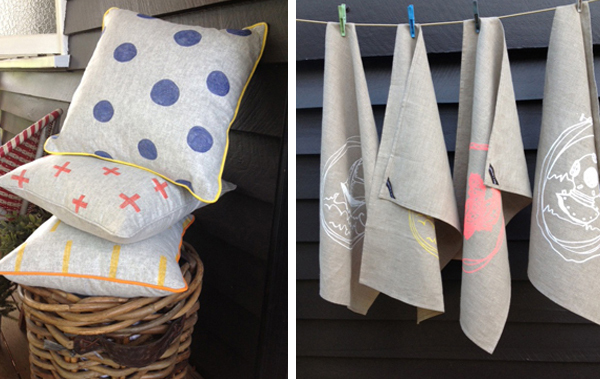 Look out for their gorgeous wares at the up coming Brisbane Markets! Tell us about your label Maker & Merchant and what the concept is behind it? Maker & Merchant started late in 2012. Our aim is individual industry creating simple home luxury. 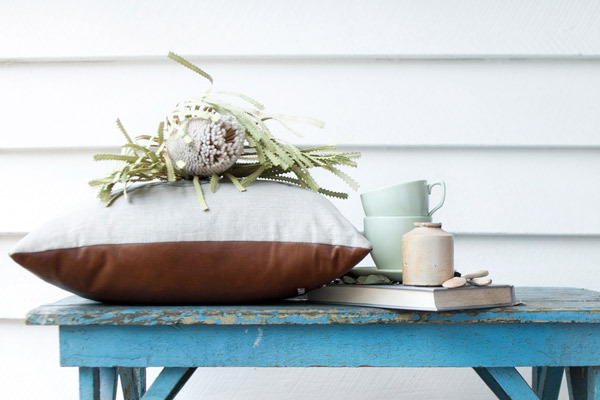 The original concept and long-range plan is to combine the pieces we design and make with homewares and accessories handmade by craft people and artisans through the Maker & Merchant online shop. Six months in and we’re focussed on the creation of our pieces, building collections. 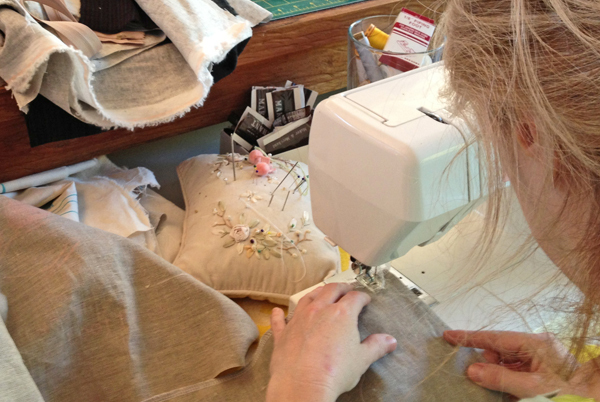 We love making beautiful pieces by hand with each item individually crafted, no two are the same. Behind the label are my two sisters and I, each with very different styles and taste which together make Maker & Merchant. We all share a love of textiles and design passed down from our mother who made all our clothes and home furnishing when we were growing up. My twin Cecelia and I both studied Fine Art degrees from Queensland College of Art; Cecelia also has training in fashion design. Sonia is an Urban Planner specialising in social planning. 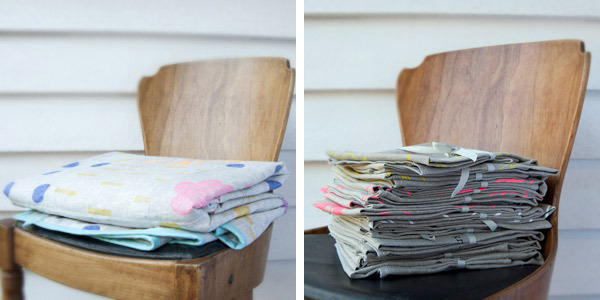 Cecelia and I have worked together all our lives on many different projects, from renovating houses, to our previous label, Pea Green, making vintage fabric bags. We started working as a team of three with Maker & Merchant when two of us both hit a career crossroad which, rather than just a crisis, we decided to turn into a ‘crisitunity’, and the timing couldn’t have been more perfect. 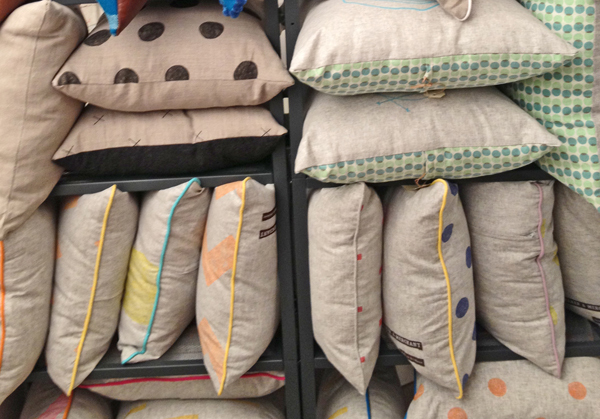 What’s not to love about a beautiful cushion or bespoke quilt? Homewares are accessible design for most and enable people to individualise their homes. It’s a joy to realise that the piece you worked on from design to completion is now sitting in a stranger’s house, being a part of someone else’s space. Working with different materials and using different techniques is really inspiring. The immediacy of being able to make pieces from designing and creating the fabric to constructing the item, being completely involved in the entire process is very motivating. The collaboration between the three of us is keeps us focussed and engaged, that’s pretty motivating as well. Starting your own business is very challenging, you need to be organised and juggle all the financial and business parts of the company, while still keeping your head in that creative zone. The best feature of having your own label is that from beginning to end you’re in complete control of the design and the realisation of your concepts. It allows for you to experiment with materials and sometimes the best results occur when you least expect them to! It’s really the best of both worlds because it provides that control and ownership, while allowing for completely honest collaboration with my sisters. What new plans do you have for Maker & Merchant this year? 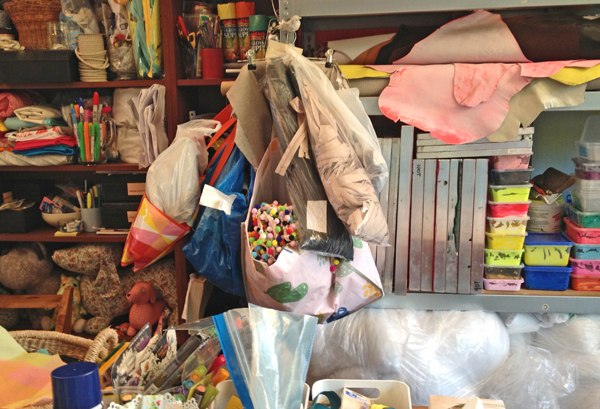 We’re always looking for new materials and textile design techniques. 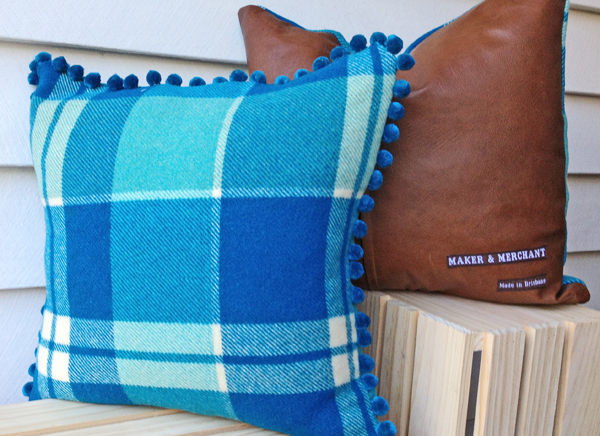 At the Finders Keepers Markets in July we will be launching our upcycled woollen blanket cushions with recycled wool teamed with leather, velveteen and flannel.